You can have a stylish and practical garden room for your home in Reading, Wokingham, Basingstoke, Henley, Berkshire, and across the Thames Valley. These fantastic sunrooms are brilliant for adding space to your home simply and efficiently. A garden room for your Reading, Wokingham and Basingstoke home gives you all the joy of a conservatory combined with the permanent structure of a brick built extension. Whether your Wokingham home is in need of a dining space, living area or office, these versatile extensions will create an additional living space that will enhance your experience of your home as well as potentially increase its value. You will gain years of pleasure from your practical garden room, and will be able to enjoy the benefits throughout the year. When you choose a garden room for your Reading home, you can count on a cosy and comfortable living space. The brick built walls combined with our energy efficient double glazing, will ensure that your garden room is a useful space that you can relax in no matter how cold it is outside. This superb design is finished off with our innovative and exclusive WARMroof technology. This state of the art technology enables you to create an additional room that offers unrivalled thermal performance. To enhance the beauty of your garden room, as well as maximise its potential, we can install a range of lighting designs to suit you. Choose from downlighters to the inside of the roof and even outside with the canopy and corner detail options. You have the option of adding a beautiful pelmet section which can also accommodate stylish and important additional lighting, as well as providing a place to fix window and door blinds. 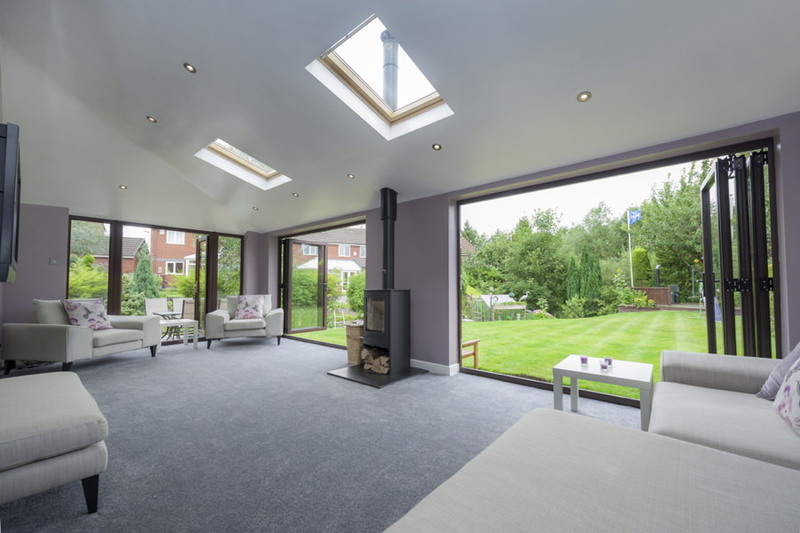 We are also able to install rooflights, enabling natural light to flood into your new garden room. You can be confident that no matter how harsh the British weather is, your new garden room will stand up to its force. Manufactured and installed to the highest standards, our garden rooms will protect you from leaks and draughts, as well as inclement weather. These structurally sound extensions will withstand the most dreadful weather that the UK has to offer. Not only will your garden room benefit from our WARMroof technology, but we can upgrade your existing conservatory with this innovative design. You can benefit from our spectacular roofing systems, reinvigorating your conservatory and enabling it to become a year round practical living space. 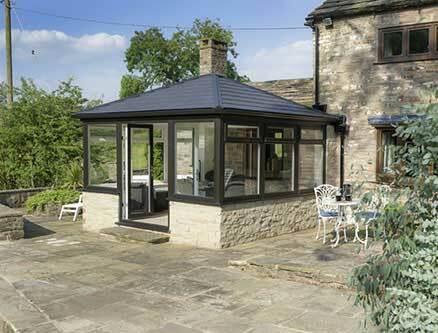 Although conservatories don’t offer the permanency of a garden room, they can be effectively improved by a new roof. If you have garden room costs on your mind, contact us today on 0118 958 2839 to speak to our helpful team. We will be able to offer you a very competitive garden room price to suit your ideas and budget. If you would prefer to get in touch online, fill out our online contact form or send us an email at sales@abbeywindows.co.uk. You will receive a quick response with conservatory price details and helpful answers to any questions you may have regarding your new double glazing choices.